When sewing bloggers post about the pretty new bra they just sewed, I always wonder if the bra actually fits, if it’s comfortable, and if they are actually still wearing it months or years later. So here’s an update on the bras I made a couple of years ago. Those bras no longer fit, but I wore the smallest three up until recently anyway. In fact, after all that work sewing 20+ bras in a row, the final bras I made only fit me for a few weeks. On the whole, my weight is usually stable, but somehow I decided to sew bras during one of the few times in my life my weight was fluctuating. First I gained weight, and then I changed my diet and lost weight. I kept wearing the bras I made even though they were too large because I was too tired of sewing bras to work on revising my bra pattern yet again, and they still fit better and were more comfortable than anything I could buy. I recently decided my weight had been stable for long enough that I could face working on my bra pattern again. I realized I’d been holding back on sewing everything else I wanted to because I was afraid the garments wouldn’t fit right after I finally had a correctly fitting bra. So I really needed to make some bras. I’m highly motivated to maintain my current weight, because I really don’t want to have to adjust my bra pattern again for a long time! This time adjusting my bra pattern was much easier. I put on my bra that was too large, marked a new wire line for the smaller wires I need now, carefully pinned out the extra fabric in the cups, and adjusted the pattern to match. Sizing down is definitely the way to go. It’s hard to see how much larger you need to make a cup that is too small, but pinning out extra on a too large cup is not too difficult. Then I made a bra muslin. I was shocked – it only needed a few small tweaks to fit perfectly! It’s almost like I actually know what I’m doing. Which I would hope would be the case after sewing so many bras. The second bra was wearable, but the fabric stretched out as I wore it, so I added a lining and an extra support piece to the bottom of the lower cup on the next versions. By the fourth bra I had a bra I was happy with, so I made a couple more. Unfortunately, these bras only fit me well for half of each month, so I made a second slightly larger “PMS” version of my bra pattern and sewed a couple more bras in that size. Since every different fabric affects the fit of a bra, I decided to make things easy and just make a bunch of boring white bras. However, after sewing a few white bras I started to get really tired of all of that white, so I made one bra using a scrap of yellow polka dot fabric, and I dyed another one red. The problem with dyeing is it’s a hassle and the colors bleed in the wash. I absolutely cannot stand to hand wash bras, so I put them in my front loading washer on the delicate cycle, and it seems a waste to run the washer just for one bra. With my last batch of bras I washed my red bras with the white ones and let the white ones turn pink, which I don’t really want to do this time. Maybe I’ll pick one white bra to wash with the red one, so I’ll just have one that turns pink. I do like the polka dots. The lower cups and sides of the cups are made from cotton shirting, so I have lots of fabric options for that part of the bra. Maybe I can find some more polka dot cotton shirting with colored dots on a white background. Then I could have a little bit of color, but I wouldn’t have to worry about it bleeding in the wash. Stripes might be fun, too. I kept telling myself I was perfectly happy with white bras – I just wanted some bras that fit! However, in keeping with Maslow’s hierarchy of needs, as soon as I had a few white bras that fit, I started wanting some pretty ones, too. 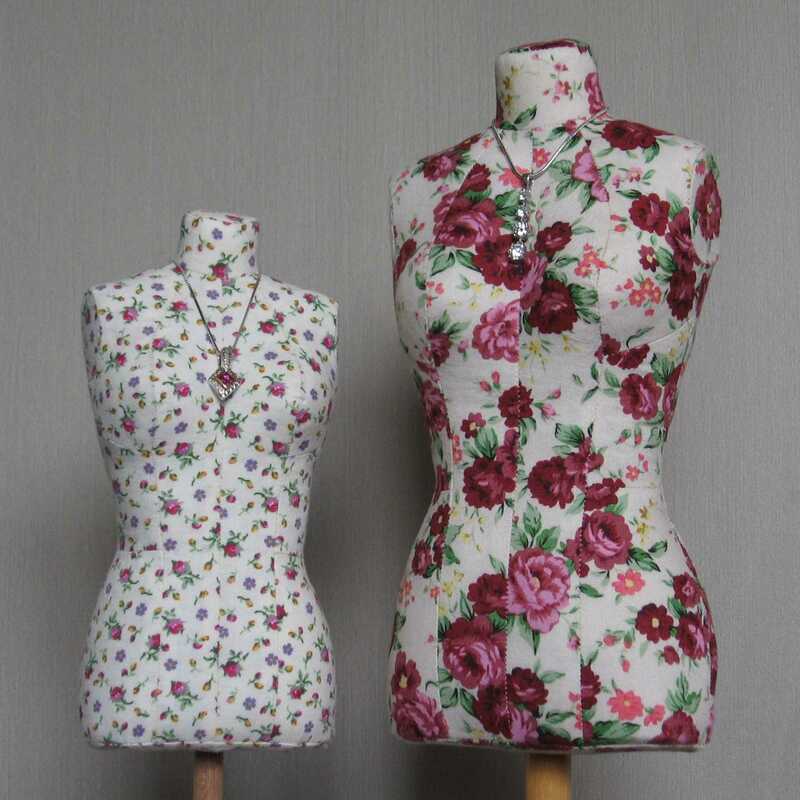 Since my bra pattern is now fairly complicated and takes a while to sew, I was wondering if I could simplify my pattern if I made the cups out of duoplex, which does not need a lining. I had been avoiding duoplex because heavy-duty polyester fabric just did not sound appealing. I bought some duoplex, adjusted my pattern, and sewed up another version. The cups on this bra came out a bit pointy, almost like a bullet bra, and um, you can really tell when I get cold. I could work on the duoplex version of the pattern to get a better shape, but I’m not going to, because I don’t like wearing duoplex. It feels cold and clammy sometimes and too warm other times. It feels like wearing plastic (which it is). It also generates static electricity. It’s hard to pinpoint why I don’t like wearing polyester, but I feel slightly on edge and out of sorts all day when I wear it. I can see why people like duoplex for making bras, though. It’s really sturdy and supportive, it has just a little stretch for comfort, and it is easy to sew. I’ll wear this bra occasionally, when I’m behind on laundry, but it’s definitely not my favorite. I make the upper portion of my bra cups out of nylon tricot, but this doesn’t bother me like duoplex does. It probably helps that it’s a smaller piece of synthetic fabric, not the whole cup. Also, nylon breathes better and is softer than polyester. The key to comfortable underwires for me is to topstitch a second set of channeling on the outside of the bra and put the wires in the outer channeling. That way the wires don’t dig into my ribs. Here’s an inside view. With the lining, it looks almost as nice as the outside. It took me a while to figure out which fabric and notions I like for bra making. Unfortunately the supplies I like come from several different online shops, so I end up paying a lot in shipping costs. I’m not sure whether I should stock up on more supplies now while items are still available, or wait in case I want to make a different type of bra next time. I should at least stock up on 5/8″ band elastic from Bravo Bella, because this is absolutely the only type of band elastic that works for me. 1/2″ band elastic is too narrow. I’ve tried several different kinds, but they all cut into me at first and then stretch out over a couple of hours so I lose support. I’m baffled as to how anyone can make bras with it. All of the 3/4″ elastic I tried was so firm that when it was under any tension at all I had difficulty taking a full breath and got sore intercostal muscles. I imagine firm 3/4″ elastic is good for larger band sizes, but it doesn’t work for me. The 5/8″ elastic from Bravo Bella has a high enough spandex content to be comfortable and hold its shape for a whole day and the width is just right. Upper cup on both outer cup and lining, and outer straps: 40 denier nylon tricot. Needs to be pre-shrunk. Back band fabric: Power net from Porcelynne. Sadly, no longer available. This is the best power net I’ve ever had – it’s thin, but provides good support. Neckline elastic: 3/8″ elastic from BiasBespoke on Etsy (it’s listed as 1/2″ but the actual elastic width excluding picots is 3/8″). The neckline elastic is not under much tension, so I find pretty much any elastic works there. I just used this elastic because I had some and it’s pretty. Strap elastic: PE 580 3/4″ strap elastic from Sew Sassy. This is very high quality strapping elastic. Strap inner padding: I used Moisture Wicking Diamond Knit (I have it in white, which appears to be no longer available). If I run out of this, I’ll probably use 1/16″ bra foam instead. Strap sliders: 3/4″ Nylon covered metal sliders. I got these from a couple of different places (I think Sew Sassy and Porcelynne), and the quality was the same. I use a second set of sliders instead of rings to connect the elastic strapping to the non-stretch straps. I think in the future I’ll get silver colored sliders so I won’t have to dye them and can use them on any color bra. Bridge stabilizer: I used silk organza on some of the bras and nylon sheer cup lining on the others. They both work equally well. Channeling: CH909 – White Flat Bra Channeling from Sew Sassy. I like this better than any other channeling I’ve purchased, but it needs to be preshrunk really well before using it (I learned that the hard way). Underwires: Flex-Lite underwires from Bravo Bella or Sew Sassy. The sizes are labeled differently on the two sites. Add 6 to the Sew Sassy Flex-Lite size to get the BravoBella size. I’m happy with my current me-made bras, but I thought it would be nice to also have a foam cup bra for occasions when I want a smoother look. I know you can buy pre-made foam cups and cover them with stretchy fabric, but I imagine I would have to buy several different sizes of cups to find the right size, and they are not cheap. Plus I just don’t want to have to start over and learn how to make a different type of bra fit me. It finally occurred to me that since I can make a bra from scratch, I could probably alter a ready-to-wear bra to fit me, too. I looked for a full frame bra with a foam cup. Full frame bras are kind of hard to find. Most ready-to-wear bras are partial band bras. The flexible wires I use do not work in partial band bras and the band just doesn’t stay in place as well on that type of bra, so I did not want a partial band bra. I thought I’d try ordering a bra online, so I’d at least have a larger selection to choose from. I can never find both the style and size I want in a store, so I didn’t see how purchasing online could be any worse. Plus many sellers offer free returns. Calculating my bra size from my measurements puts me in a 32D, but I know from experience a size 32 band is way too tight, so going up a band size and down a cup size would put me in the sister size 34C. However I also know from past experience that 34C bra cups are too small for me. So I thought I’d try size 34D. I’m one of those people whose measurements don’t put me in the right size. Not that there is a ready-to-wear size that fits me. The first bra I tried was the Hanes Ultimate T-Shirt Soft Foam Light Lift Bra*. When I first tried it on, the wires were significantly too narrow, and I did not fill out the upper part of the cups. I took out the wires and replaced them with ones that fit me. These wider wires pushed the sides of the cup outward, making the upper part of the back band too long. Rather than doing a complex alteration and taking the bra apart, I decided to just sew a dart in the band. When I put on the altered bra, the wires fit, but the cup volume was now a little too small, since the cup was pulled into a wider shape with the wider wires. The wires did not touch my chest in the center, and they poked into me on the sides. I cut some wide plush elastic and hand sewed it in place on the inside to pad the ends of the wires and cover the lump caused by the dart. This bra is now wearable, even though the fit is not perfect and it’s not as comfortable as the bras I sewed. I can wear the Hanes bra for a full day without experiencing pain, so I’m calling it a success. I thought since the cups on the 34D were too small after changing the wire size, I would try a 34DD, but the Hanes bra was not available in that size, so I bought a size 34DD Bali One Smooth U Ultra Light Embroidered Frame Underwire Bra*. When I tried on this bra, to my utter astonishment and delight, the underwires were the perfect size. The band fit, too. However, the cups were much too large. The cups on this bra are made from 1/16″ foam that is an even thickness and is easy to sew through. I pinned out a 1″ wide dart in each cup to see about how much I needed to take out. Then I took apart the bra, cut off 1/2″ all the way around the wireline edge of the cups, and sewed everything back together. This alteration was almost as much work as sewing an entire bra. The bra now fits and is reasonably comfortable. I don’t really care for the shape of the cups, though. They flatten my breasts and push them out to the sides like a minimizer bra does. I don’t think that this shape is just because I altered the cups, since it looks like the same thing is happening on the model in the product photos. I’m calling this bra a success, too. I wear it more often than the Hanes bra, but less often than the bras I made. Although I’m not officially entering, my bras fit in well with the SMYLY (Sewing Makes You Love Yourself) challenge currently going on. After making this batch of bras, for the first time in my life, I have a drawer full of supportive bras that fit. It was a ton of work to get to this point, and I’m proud of myself for finally getting this done. Being able to wear an underwire bra is a big deal to me. I’ve always wanted the support of underwires and been jealous of other women who could wear them, but I’ve never been able to find an underwire bra that fits, so I’ve always resorted to wearing poorly fitting non-wired bras. The bands on non-wired bras always cut into me painfully on the sides, so I’ve found that a correctly fitting underwire bra is actually more comfortable than a non-wired bra. My underwire bras are just as comfortable at the end of the day as when I put them on in the morning. Yay! The underwires take the weight of my bust off of my shoulders, so I feel so much lighter and my posture is better. Plus it no longer bothers me that I’m getting older and saggier, because when I put on one of my bras, I feel young and perky again. I look down at my chest and I’m like, “Hello, girls, nice to see you back up where you used to be!” It’s amazing how wearing a comfortable, supportive bra improves my whole outlook on life. Thank you so much for your informative posting here! I will be back, bras are in my near future and I’m glad to know about your resources and links. Good luck! My main stumbling blocks were finding the right size and type of underwires, making the right type of bra (partial band did not work for me), and finding the right band elastic. Hopefully you can start with a good pattern and have an easier time than I did. I have followed your bra making adventures with interest as I have been experimenting too. I have not found a satisfactory solution for underwires and so settled for soft-cup bras. However, I now have a new problem – I broke my shoulder last year and cannot put my arm far enough round my back to fasten a normal bra so now have to work out how to get a comfortable, supportive front-fastening bra. Oh the frustration! I’m sorry to hear about your shoulder. Can you cut your existing bras up the center front, bind the edges, and sew on regular hooks and eyes? This might be difficult with some styles of bras, but I would think it should work fine for most bras.